If you own a vehicle, at some point in time you will have a cracked windshield. Not only can these cracks obstruct your vision, they can also spread as you drive and make your drive all the more hazardous. While it is not possible to avoid cracked windshields all together, there are ways to prevent cracks from happening. Here are 4 tips to avoid a crack or a chip that will become more than just an eyesore. Did you know that direct sunlight can be just as bad for your auto glass as it is for the interior of your car? The seal that surrounds the windshield can absorb heat and then transfer this heat to the glass itself. The high temperatures makes the glass more prone to cracks around the perimeter when you hit a bump or if you have a minor impact. To prevent the damaging UV rays from doing damage, park under a surface. 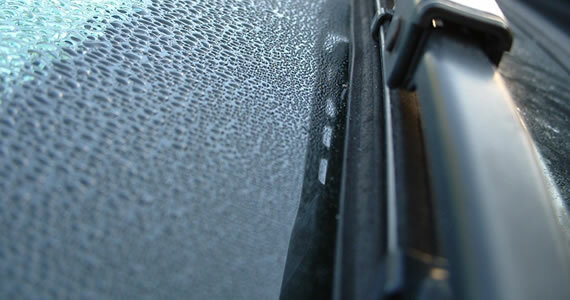 Direct sunlight can be damaging, but going from hot to cold rapidly can also affect your auto glass. If you are parked in the heat, the glass expands. When you turn your car on and blast your air conditioner, the glass will then contract. This can lead to a weakened structure which causes cracking. To avoid this, avoid the significant temperature changes by using your AC or heater moderately. You can have a very minimal chip and not notice it for a great deal of time. This is why it’s important to inspect your windshield closely on a regular basis so that you can identify the unnoticeable cracks or chips that are minor now and can later become major. If you do spot a chip, it’s wise to get your chip repaired before it spiders and you need a windshield replacement according to Speedy Apollo Auto Service Centres, a company that provides windshield replacement in Calgary. If you do not have many routes that you can take to and from a location, it might not always be possible to avoid roads with not-so-pleasant driving conditions. Bumpy roads, gravel roads, hair pin turns, and roads that cause your vehicle to jump can cause the windshield to jar. This jarring can flex the windshield beyond its capabilities and lead to cracking. When rough driving conditions can be avoided, take the smoother and less straining road. You may not be able to avoid glass breakage in all instances, but these tips can help you reduce the likelihood. Be sure to choose an auto glass repair company that you can trust when you do need repairs, and stay safe on the roads. Protecting your windshield and car windows is imperative for obvious purposes like safety. Research shows that 90% of driving decisions are dependent upon good vision, so it only makes common sense to invest in taking care of the windshield in particular. Other reasons for maintaining your windshield is that it is the biggest target for the sunlight and in hot months, heats up your car interiors which in return damages them, when your car is parked for long periods of time. Additionally, if you are intending to sell your car, the windshield and wiper blades are a good gauge of how well maintained the vehicle was. Most people maintain various parts of their cars but forget that the windshield too needs to be protected and maintained on a regular basis. Below are some tips on how to protect your windshield, so that when you are on the road, you are as safe as possible. The simplest and most effective way to protect your auto glass is by cleaning it on a weekly basis, both on the inside and the outside. If a piece of gravel strikes a clean windshield, its smooth surface prevents energy transfer and bounces off. However, if it strikes a dirty auto glass, the friction allows for more energy transfer that may lead to a chip or even worse, a shattered windshield. Dirty windshield wiper blades leave streaks and simply spread dirt built up on your auto glass, leading to the same problem of a likely chip in your windshield if gravel or stones hit it when you are on the road. When you notice that your wiper blades are not doing an efficient job of providing good visibility, chances are that they are no longer doing their job well and it’s time to replace them with new ones. When buying a new car, request for an extra coating of windshield protection. While some cars already come with this extra coating, most don’t. In the long run, the investment will pay off in the unfortunate event of an accident or flying glass hitting your windshield. Called shatterproof glass, this is a good option for a new purchase. There many consumer products in the market today that can be used to protect your car windshield. Most of them are used to protect against cracks from stones, hail and harmful UV rays, so fret not if your existing car hasn’t been reinforced with an extra coating of windshield protection. When winter comes around, it is more than likely that you will encounter a layer of ice forming on your windshield at some point. It may be tempting to pick any old item like a knife or a spatula to remove the ice. This increases the chances of scratching your windshield or damaging your auto glass. Instead be patient and use a plastic ice scrapper. Other options include using a de-icer spray to melt the ice and you may not even need a plastic ice scrapper. Follow the tips above religiously and you will be well on your way to preserving and maintaining your car windshield for a long time to come. However, if you happen to find yourself with a damaged windshield, be sure to get a quick windshield replacement quote on glass.net. 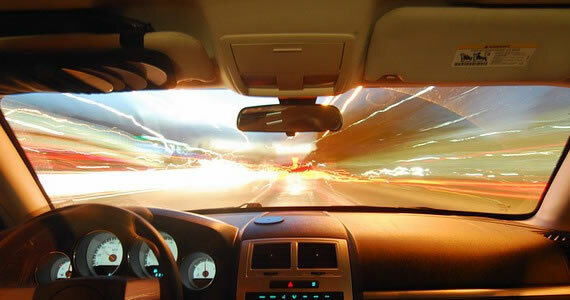 A loud sound permeates your car’s interior and startles you as you drive down the road. This startling sound is typically an object striking the windshield. Depending on the object’s size and trajectory, you may have an instant chip or crack across your windshield. Before you resort to replacing the entire windshield, take a look at the crack to determine if it can be repaired instead. Take a look at your chip, or gouge, in the glass. If it is about the size of a quarter or less, it is possible to repair it. Use a windshield repair kit to save hundreds of dollars on replacement glass. These helpful kits use specialized resins to fill the chip and maintain a strong glass surface. It is critical to repair the chip as soon as possible, however. Allowing the chip to remain untouched may cause it to grow larger. Any chips outside of quarter size indicates time for a windshield replacement. 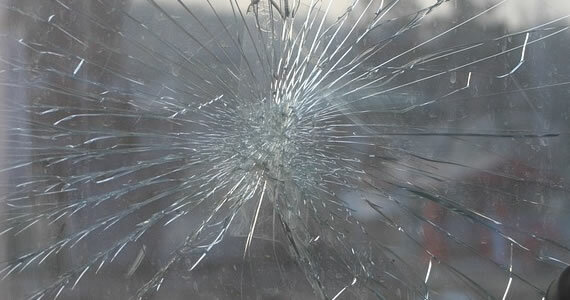 Use products from www.triglassinc.com to repair 3-inch-long cracks, or smaller, for an almost brand-new glass appearance. Resins quickly fill in the crack and prevent it from spreading. Order your repair kit quickly for these cracks, especially if they are along the windshield’s edge. There is a lot of glass tension at the edges because of the connection point to the vehicle itself. Neglected cracks at the edges spread rapidly, requiring an entire windshield replacement. If you have a small crack or chip along the driver’s line of sight, most professional repair companies will not advise filling the damage. Although resin is strong and creates a neat appearance when cured, it does form a slight warping at the damage site. If you must focus on cars through the filled site, an accident could occur. In these case, you will want to replace the windshield. If you try to repair the damage yourself without a professional’s help, you may cause your own accident in the future. Some states actively issue tickets for damaged windshields. Do not allow your cracks and chips to grow in size. Repair or replace the windshield as needed. 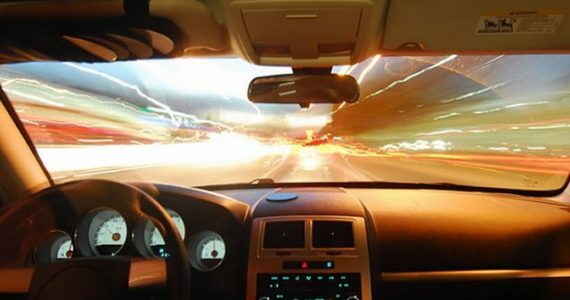 Police want everyone on the road to be safe and a damaged windshield increases your chances of an accident, especially at night. Lights flicker and distort through cracks, impeding your depth perception. Take a good look at your windshield. Use a quarter and ruler to determine damage sizes for the best evaluation. 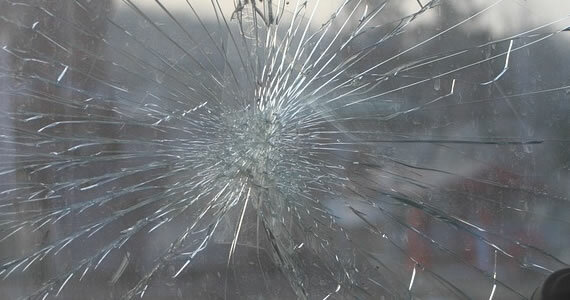 If you are unsure about the damage, ask a professional’s opinion or replace the windshield.